This March, the American Cancer Society is encouraging men and women 50 and older to make getting tested for colorectal cancer a priority. Colorectal cancer (commonly referred to as colon cancer) is one of only two cancers that can actually be prevented through screening, which allows doctors to find polyps in the colon and remove them before they turn cancerous. Regularly scheduled colorectal cancer screening can help save lives and help achieve the American Cancer Society’s goal of creating a world with less cancer and more birthdays. Screening for colon cancer has been proven to reduce deaths from the disease both by decreasing the number of people who are diagnosed with it and by finding a higher proportion of cancers at early, more treatable stages. Overall, colon cancer rates have declined rapidly in both men and women in the past two decades, due in part to early detection and removal of precancerous polyps. However, only half of the U.S. population aged 50 and older has been tested. • Stool DNA test (sDNA), with high sensitivity for cancer, interval uncertain. Because of their greater potential to prevent cancer, the tests that have a higher likelihood of finding both polyps and cancer are preferred if patients are willing to use them and have access to them. In addition to screening, there are healthy lifestyle behaviors individuals can adopt to reduce risk of colon cancer. Studies show that being overweight or obese increases risk of colon cancer, and people whose diets include a high amount of red and processed meats are at increased risk. The American Cancer Society recommends that adults engage in at least 30 minutes of moderate to vigorous physical activity on five or more days of the week; and consume a healthy diet that includes five or more servings of vegetables and fruits each day, whole grains (instead of processed grains and sugars), limited alcohol and processed and red meats, and controlled portion sizes (visit cancer.org/GreatAmericans for tips and ideas on how to eat healthy and exercise regularly). Smoking also increases risk of colon cancer. A 2009 study from the American Cancer Society found that long-term smoking (smoking for 40 or more years) increases colon cancer risk by 30 to 50 percent. Smokers who want to quit can call the American Cancer Society Quit For Life® Program operated and managed by Free & Clear® at 1-800-227-2345 for tobacco cessation and coaching services that can help increase their chances of quitting for good; or visit cancer.org/GreatAmericans for customized tips that can help with quitting smoking for good. An estimated 146,970 cases of colorectal cancer were expected to occur in 2009, and 49,920 deaths were expected. Colorectal cancer is the third most common cancer in both men and women. Risk factors for colon cancer include a personal family history of the disease. 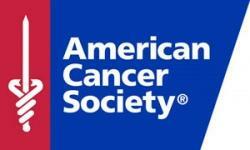 The American Cancer Society combines an unyielding passion with nearly a century of experience to save lives and end suffering from cancer. As a global grassroots force of more than three million volunteers, we fight for every birthday threatened by every cancer in every community. We save lives by helping people stay well by preventing cancer or detecting it early; helping people get well by being there for them during and after a cancer diagnosis; by finding cures through investment in groundbreaking discovery; and by fighting back by rallying lawmakers to pass laws to defeat cancer and by rallying communities worldwide to join the fight. As the nation’s largest non-governmental investor in cancer research, contributing about $3.4 billion, we turn what we know about cancer into what we do. As a result, about 11 million people in America who have had cancer and countless more who have avoided it will be celebrating birthdays this year. To learn more about us or to get help, call us any time, day or night, at 1-800-227-2345 or visit cancer.org.